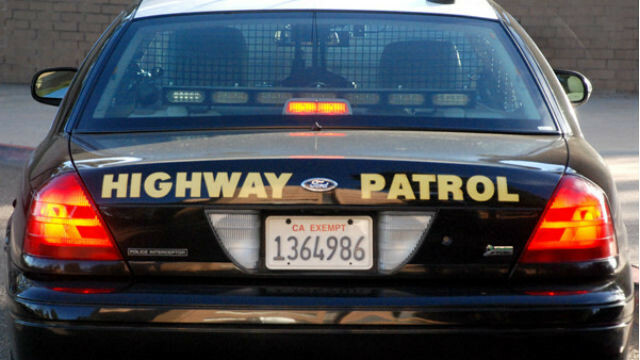 The driver of a Ford Mustang was killed Saturday morning when he crashed into three vehicles at high speed on Interstate 15 in Escondido. A 25-year-old man was behind the wheel of a 2007 Ford Mustang heading south on I-15 just before state Route 78 at 6:20 a.m.when he approached stopped traffic and sideswiped a 2018 Ford Edge in the No. 2 lane of the freeway, according to California Highway Patrol Officer Kevin Smale. After the initial collision, the Mustang struck a Ford F-450 two-axle truck stopped in the No. 1 lane, then another Ford F-450 in the No. 2 lane. The Mustang driver, who wasn’t wearing a seatbelt, suffered major injuries and was taken to Palomar Medical Center, where he was pronounced dead, Smale said. Drugs and alcohol were not suspected to be factors in the crash. Lanes of southbound I-15 were blocked in the area for about two hours after the crash while investigators and emergency personnel worked, Smale said. All lanes were re-opened shortly before 9 a.m.
A pedestrian in San Ysidro was struck and killed by a teenager driving a Mustang on Monday.